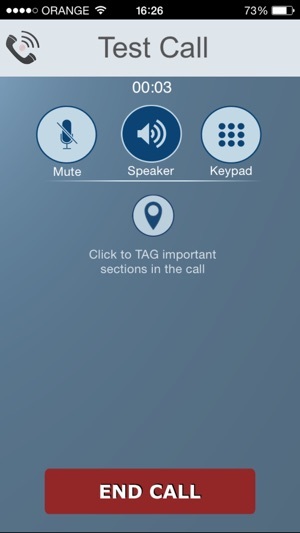 Call Recorder allows you to record your telephone calls. 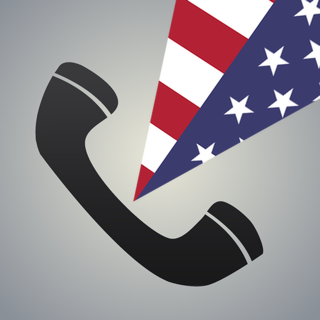 + You can use Call Recorder to make and record national or international calls. + The entire call is recorded and saved on your phone. - Played on the phone. - Transferred to your computer with iTunes File Sharing. - Exported to DropBox, Google Drive and more. + You can either buy pre-paid credit or make a weekly subscription. Note: your country may not support both payment plans. + Before using the application, you must ensure that the recording of conversations is legal in your country. Telestar LTD is not responsible for your use of the application. Your carrier must be GSM and support Hold and Conference calls. 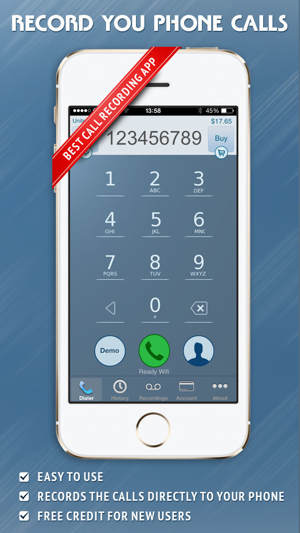 Call Recorder - IntCall is FREE TO TRY for 3 days, so you can verify the app meets your expectations. + Subscription duration is one week auto renewal. +Subscription price per week may very according to your country. + Payment will be charged to your iTunes Account once you confirm your purchase. Your account will be recharged when your subscription automatically renews unless auto-renew is turned off at least 24-hours before the end of the current period. Any unused portion of a free trial period, if offered, will be forfeited when the user repurchases a subscription. Subscriptions may be managed by the user and auto-renewal may be turned off by going to the user's Account Settings after purchase. + Your recordings may me saved for a short time on the app’s server until downloaded to your phone. I have struggled with so many garbage call recording apps over the last 2 years. But this one is definitely the best one I've used. 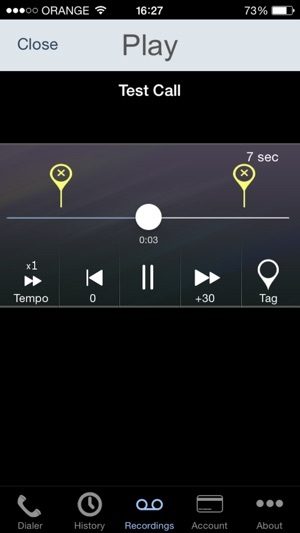 Here's why: (1) it is secure and stores recordings only on your device. 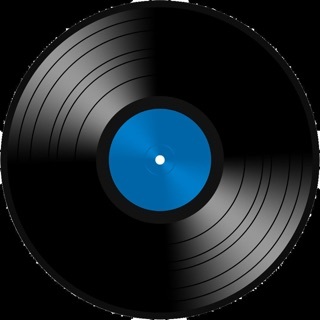 DO NOT trust any recording app that involves merging your recorded call with a centralized call that's mediated by the company's server, especially if you care about the security of your data. 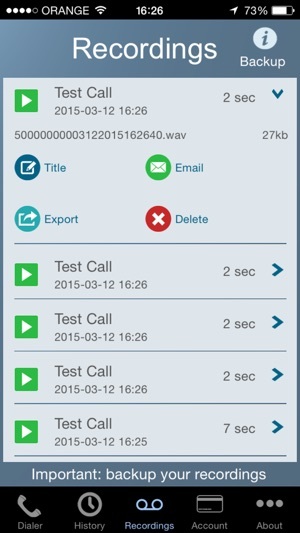 (2) there is no decent, free app to record calls but his one is the best balance of cheap and high quality. I urge you not to trust the ones that claim to be totally free. This one doesn't charge you monthly, you just purchase what you need for a few dollars at a time. I have to conduct a few hours worth of interviews every 2-3 months and so I buy $10-15 in credits to accommodate. 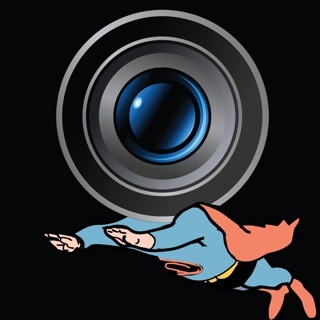 (3) You can export the recordings easily by email or Airdrop, which many of the other apps seriously struggle with for some reason (4) Crucially (because I need my interviews to be transcribable) the audio quality of the recordings is by far the highest of all the 6 or 7 apps I assessed. I've used the app quite a bit over the past 2 years to collect evidence for a lawsuit and it's been used to attain key pieces of the entire case. Very happy so far with only one small issue and that is sometimes the voices aren’t loud enough while actually using the app but they can be heard a little better after the recording is completed but that’s not always helpful when you can’t hear clearly while making the recording. This seems to be worse with the newest updates from my experience but overall the app works pretty good until the latest update. Other than the latest update though I’d give the app 4 stars. If it were clear all the time it would be 5. 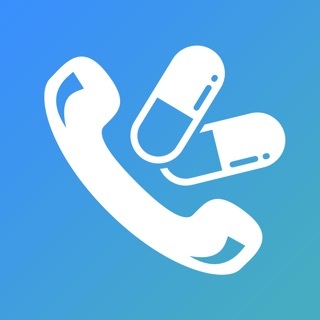 This app only allows you to record outgoing calls, and calls using the app are quieter than using just the phone and it is harder to hear the caller and for them to hear you. Also, charges are per minute for phone calls. US calls are $0.10 / minute. Which is annoying. However, this is the only app I could find that stores the recordings locally on my phone. 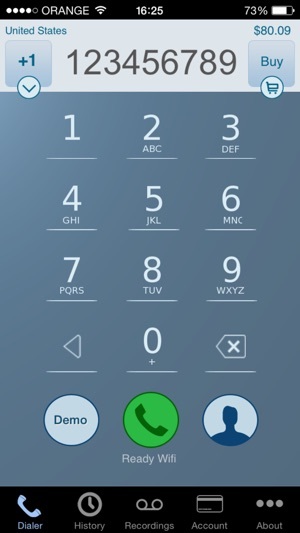 All the other apps featured the "call merge" technique and recorded your call remotely and doesn't seem to be a secure way to record conversations I might want to.